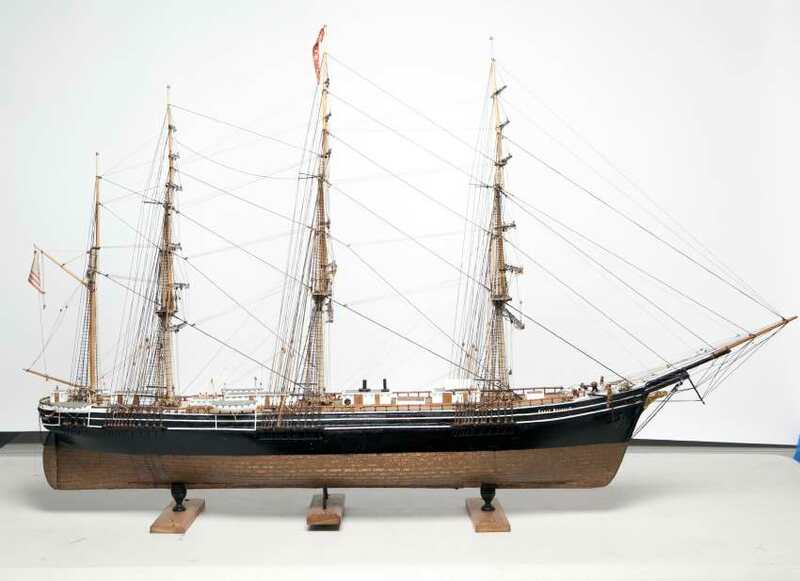 The Ship Model Gallery features builder’s models, models of famous sailing ships, folk art models, and ships in bottles from the museum's collection and that of the Collection of the Trustees of Sailors' Snug Harbor in the City of New York. Some of the models were built by Sailors' Snug Harbor residents and represent vessels on which they sailed. 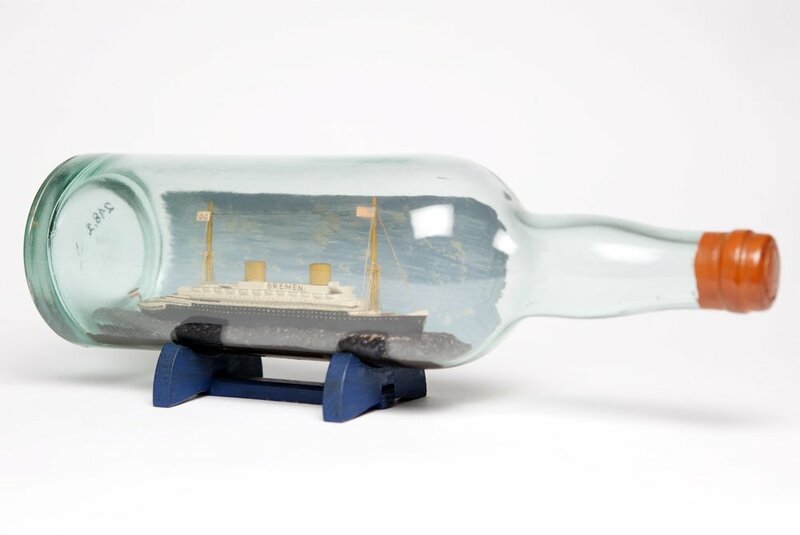 Among the ships in bottles is one made by Staten Island resident Kurt Ostlund called A tall ship and a star to steer her by, a three-masted barque in a green glass bottle with stars painted on its sides. The title is taken from the poem “Sea Fever” by John Masefield. In 2006, Beverly Hausman, whose late husband Philip built them, donated models of some of the most famous sailing vessels in history, including the Bonne Homme Richard, built in France by the East India Company for the Orient trade and launched in 1765 and the clipper ship Flying Cloud, launched in 1851. The Ship Model Gallery also features half-models. In the years before naval architecture evolved, builders developed the design of a vessel through half-model construction. 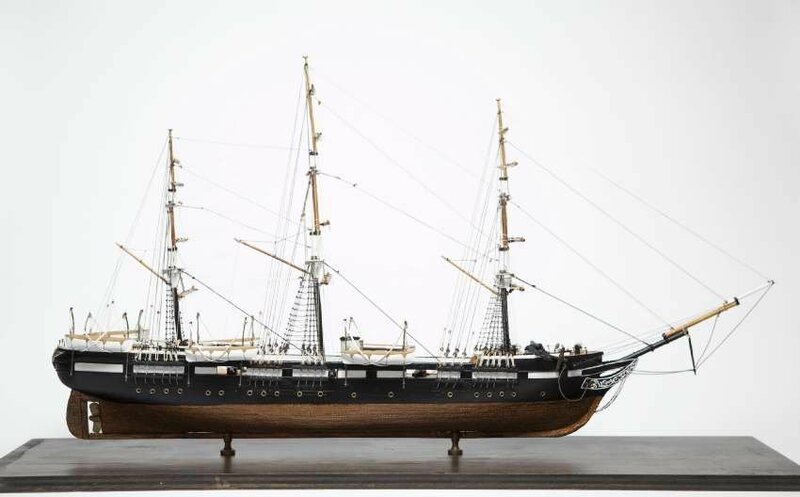 In all, the model room features 24 models that augment the Noble Maritime Collection’s large collection of ship models in its other galleries and classrooms. Funding for the Ship Model Gallery was provided, in part, by the Staten Island Foundation and the New York City Department of Cultural Affairs, in partnership with the City Council. Click on the images for more information on each ship!